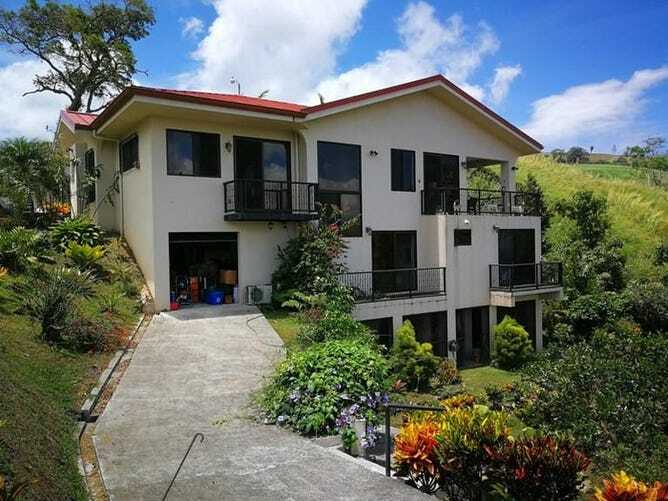 This professionally designed and well built luxury home is hiding in paradise gardens on top of a hill overlooking Lake Arenal and the surrounding mountains. Beautifully landscaped grounds add to its attractive appearance. Located at the edge of a semi-gated community with 24/7 security service, a club house and a large community pool.